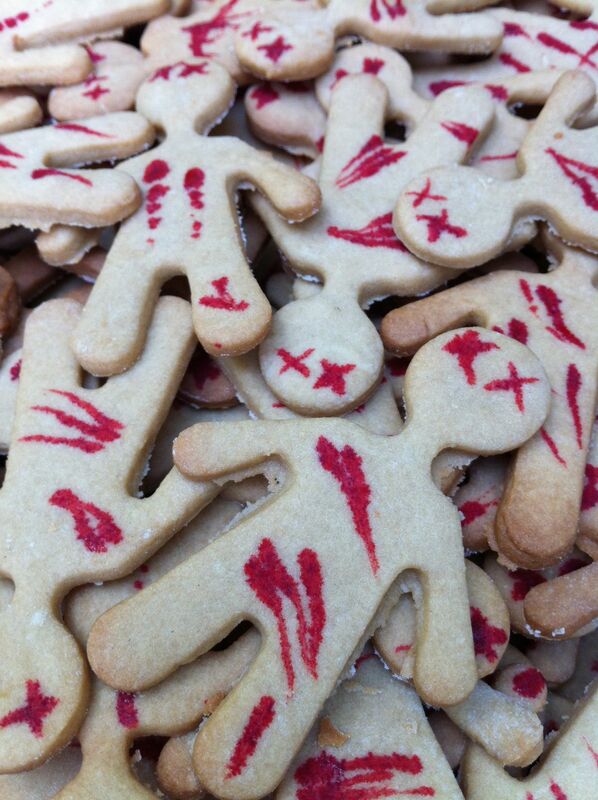 Adapted from Baking Bite’s Vampire Cookies, these victim cookies are fun to make and popular with hungry guests! Roll out the dough directly onto the baking sheet liner. Roll dough out on a lightly floured surface until it is about 1/8-inch thick. 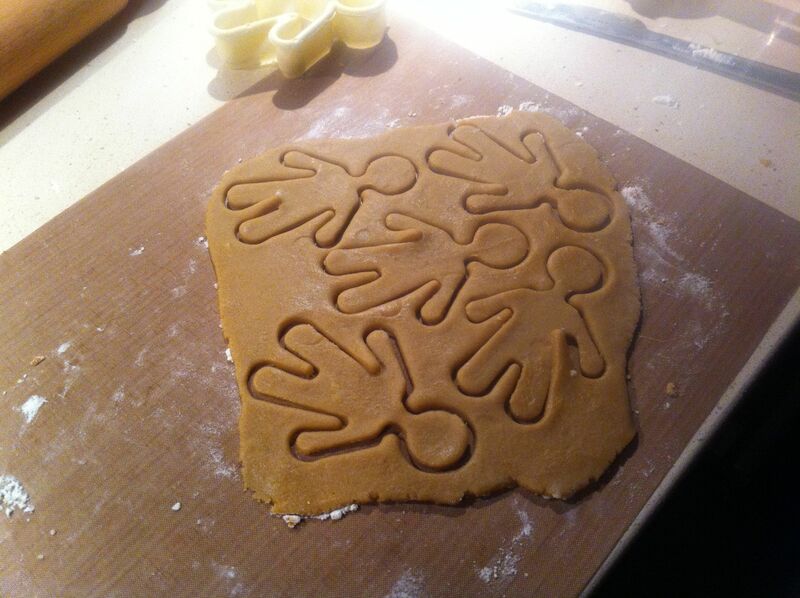 Use a cookie cutter to cut out human shapes and place them on a baking sheet. Or, if you are lucky enough to have a Silpat or other non-stick baking sheet liner, roll the dough out right onto it, cut out your cookies and then peel away the unused dough. I’ve found this means much less wastage because the delicate cut-outs don’t need to be moved. Bake for 8-10 minutes, until cookies are starting to brown. Pour out a small amount of red food colouring into a shallow dish. Dip a toothpick in the food colouring and drag across the cookies making injury-like marks. Cookies will keep for up to a week in an airtight container.